You want to keep your existing customers happy while growing sales and a loyal customer base. Right? There is no doubt that cloud-based and integrated technology solutions are driving businesses today. But how do you leverage this technology and not lose the essential personal touch and human connection that keeps customers coming back? Consumers are more savvy than ever and take full advantage of the technology that makes their lives easier, but these same consumers still want personal, human connection with brands they trust. Is there a balance between convenience and connection? What is a Point of Experience? 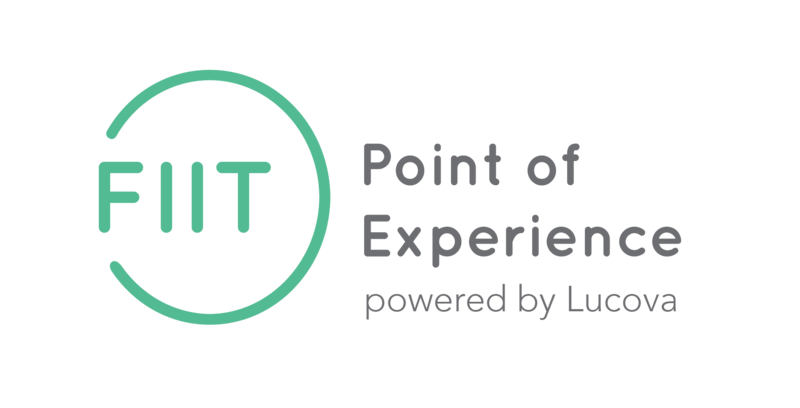 FIIT Point of Experience focuses on making corporate and campus dining businesses more successful by bringing technology and human connection together for an optimal brand experience. Integrating mobile and POS technologies to create a complete solution for staff and customers, the goal is to create a positive and memorable experience for customers by making each transaction more human and convenient. FIIT POE offers mobile ordering, hands-free and mobile payment, a user-friendly app, built in AI for customer recognition, and cloud technology for easy management. FIIT POE is re-establishing the value of offline commerce by transforming customer touch points into more personal and memorable experiences. It is more than just a POS system: it’s a unique dining experience built for humans. How do customers get in on this experience? They simply download a white label companion app that works with the FIIT POE system. But here’s where we have added the personal human connection: once they enter the dining venue, a Bluetooth sensor recognizes the signature from their mobile device and displays their picture and profile on the interface of the point of sale system. This provides staff with relevant information about the customer; allowing them to create a personal and memorable experience for the customer. With pleasant, fast and easy payment and service, customers will be more engaged and happily returning often. The FIIT POE mobile app is all about your customer’s convenience. They can use Mobile Order to view menus, order, and pay for food and beverages in advance of picking it up. If customers choose to order in person, they can still use the app to pay with their meal plan or credit card with our ‘hands-free’ payment option. Customers can simply confirm payment from their phone while at the register to confirm that they accept the payment or they can set up automatic confirmation of payment. If they want an even more secure option, they can enable the PIN code feature, which they have to enter on their phone at the register to complete their transaction. Customers can manage meal plan balances, payment options and even provide feedback and ask questions directly within the mobile app. When you make the customer experience this easy and empowering, your brand becomes something they won’t want to live without. The benefits don’t stop with your customers. We provide you with real-time reporting and easy administration of the FIIT POE system to put the power of data in your hands. You can manage menus, track location profitability and even create marketing campaigns to send targeted messages to your customers. All of that, and more, is available with FIIT POE. We connect you with the mobile generation. Customers benefit as they don’t have to wait in long lineups, they get the correct order on time – at convenient times, and they feel valued and known. The benefit for your business: happy and loyal customers that result in higher retention and growth in sales. “Finally, it is possible to provide the best experience, improve retention and be profitable” confirms Amit Jhas. The key to a successful dining experience is getting to know your customers, engaging with them, and empowering your staff. With the FIIT POE solution, all of these elements come together to create the optimal customer experience.